FAILURE following a heart attack? Heart failure can be a confusing term. It does not mean that your heart has stopped working – but instead that your heart can’t pump enough blood to meet your body’s needs. This can cause troubling symptoms such as fatigue, shortness of breath, and swelling in the legs and ankles. 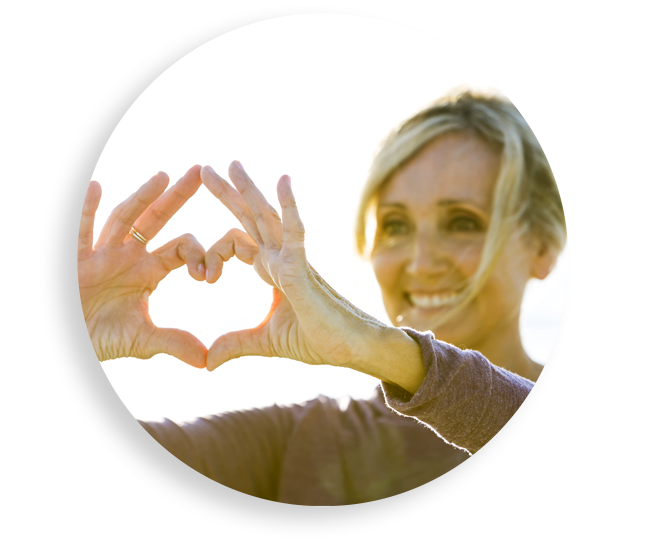 Heart failure is quite common, affecting nearly 6 million Americans. For many, their heart failure develops after a heart attack, which can damage and weaken the heart muscle. If you’ve had a heart attack and now suffer from heart failure, you may be a candidate for the CardiAMP Heart Failure Trial. The study is evaluating CardiAMP Therapy, which uses your own bone marrow cells to potentially stimulate the body’s natural healing response, all through a minimally-invasive, catheter-based procedure. Bone marrow is a unique substance found in the center of some of the larger bones in our bodies, such as the hipbones. Bone marrow is where new blood cells are produced. For many years, doctors have studied how bone marrow cells can help stimulate the body’s natural healing response. 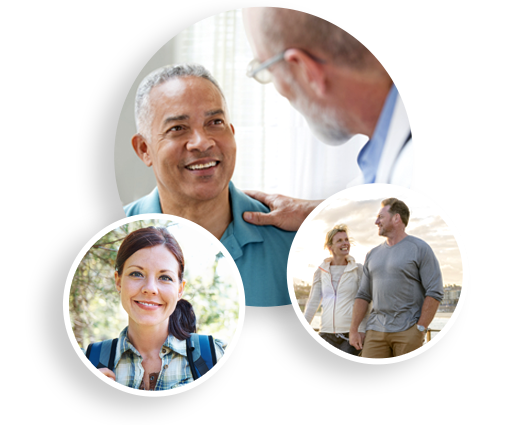 CardiAMP Therapy is designed for people who have had a heart attack, and now suffer from heart failure. It is an investigational therapy that uses your own bone marrow cells to potentially stimulate the body’s natural healing response, all through a minimally-invasive procedure. Right now, doctors at select treatment centers in the US are conducting a new research study to evaluate the ability of CardiAMP Therapy to improve cardiovascular function and quality of life (The CardiAMP Heart Failure Trial). If you’ve previously suffered a heart attack, and now have heart failure, this study may be right for you. 1. What is the purpose of a clinical study? Clinical studies (also called clinical trials) are used to learn about the safety and effectiveness of possible new medications, medical devices, and medical procedures. Although there are many types of clinical trials, all must conform to strict rules set by the U.S. Food and Drug Administration (FDA). These rules help protect the rights and safety of those who volunteer to take part in clinical trials. 2. What is CardiAMP Therapy? CardiAMP Therapy is an investigational therapy for people who have had a heart attack, and now suffer from heart failure. CardiAMP Therapy uses your own bone marrow cells to potentially stimulate the body’s natural healing response, all through a minimally-invasive, catheter-based procedure. 3. Can I receive CardiAMP Therapy without joining the study? 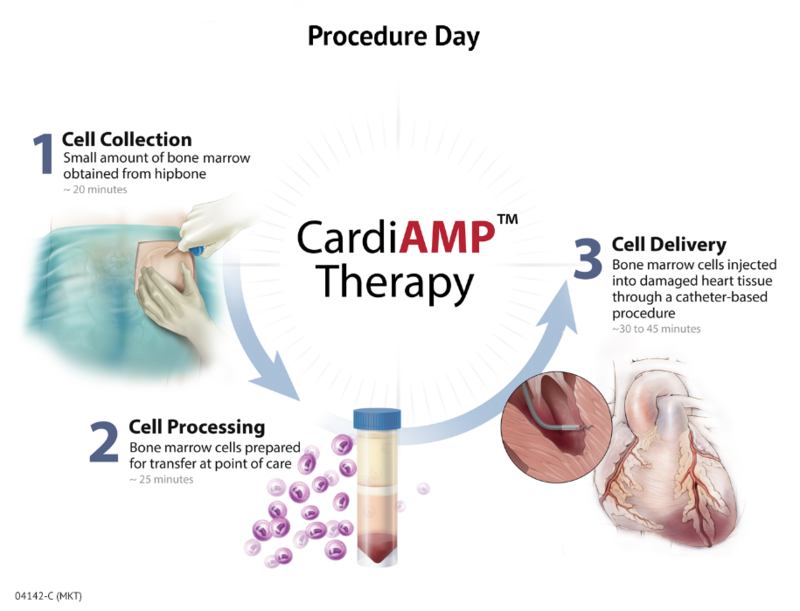 No, CardiAMP Therapy is currently only available in the US through the CardiAMP Heart Failure Trial. 4. How many people will participate in the CardiAMP Heart Failure Trial? About 260 people are expected to participate in the study. 5. How long does the study last? If you join the study, your participation will last approximately 2 years. Following your procedure, you will return to your study doctor’s office for 5 follow-up visits over the first year, and then one more annual visit. These visits are an important part of the study, as they allow your doctor to closely monitor your individual results and experiences. 6. What if I join the study and decide I do not want to participate anymore? As with all clinical studies, your participation is completely voluntary and you may choose to leave the study at any time. 7. I am interested in hearing more. What is the next step? To see if you might qualify for the CardiAMP Heart Failure Trial, and to be referred to a study center in your area, the next step is taking the pre-screening questionnaire. Please click here to get started. 8. I am not yet ready to pre-screen, but I have additional questions. Is there a number I can call? If you still have questions or would like additional information regarding the CardiAMP Heart Failure Trial, please call (888) 468-9303. To see if you might qualify for the CardiAMP Heart Failure Trial, and to get connected with the study center in your area to learn more, please take the questionnaire below.